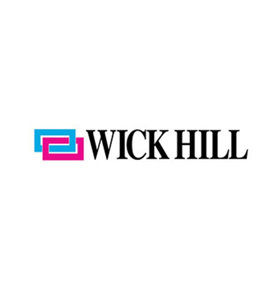 StructuredWeb Helps Wick Hill Drive Innovation & Create Industry Buzz with Superior Partner Portal. 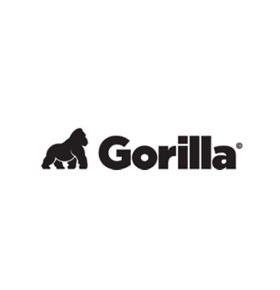 StructuredWeb Helps Gorilla Drive 133% New Project Growth. 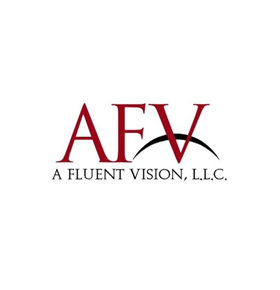 StructuredWeb Helps AFV Increase Channel Engagement with a Holistic Approach to Partner Marketing Concierge. 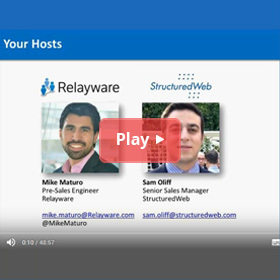 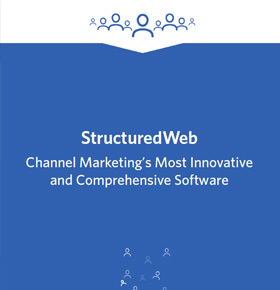 Learn more from the StructuredWeb and Relayware experts about best practices for the Channel. 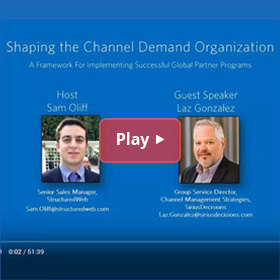 A framework for implementing successful global Partner Programs with StructuredWeb’s Sam Oliff and Laz Gonzales from SiriusDecisions. 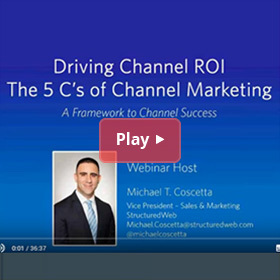 Your simple framework to Channel Success. Marketing’s role in driving sales effectiveness in the Channel. 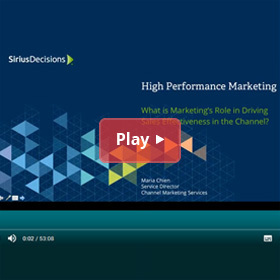 An interview with Maria Chien from Siriusdecisions. 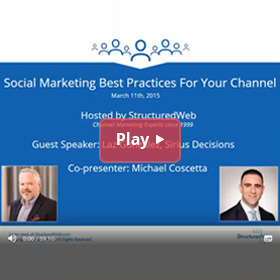 Our guide to social marketing with a guest speaker, Laz Gonzales from SiriusDecisions. 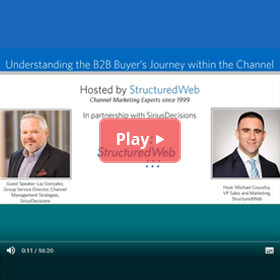 Learn more about the B2B Buyer's Journey, how should the Channel react, and how to keep your program effective throughout the buying cycle. 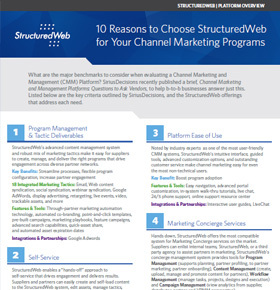 By capturing these 5 key metrics, among dozens of others, the StructuredWeb platform allows channel marketers to optimize program performance and marketing ROI. 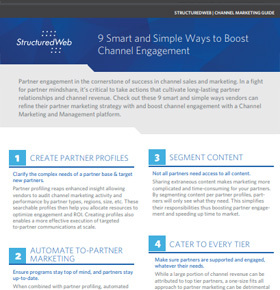 Check out these 9 smart and simple ways vendors can refine their partner marketing strategy with and boost channel engagement with a Channel Marketing and Management platform. 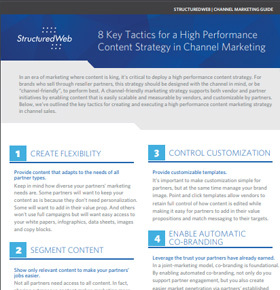 We’ve outlined the key tactics for creating and executing a high performance content marketing strategy in channel sales. 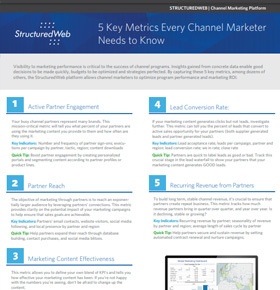 Key criteria for a Channel Marketing program, outlined by SiriusDecisions, and the StructuredWeb offerings that address each need.